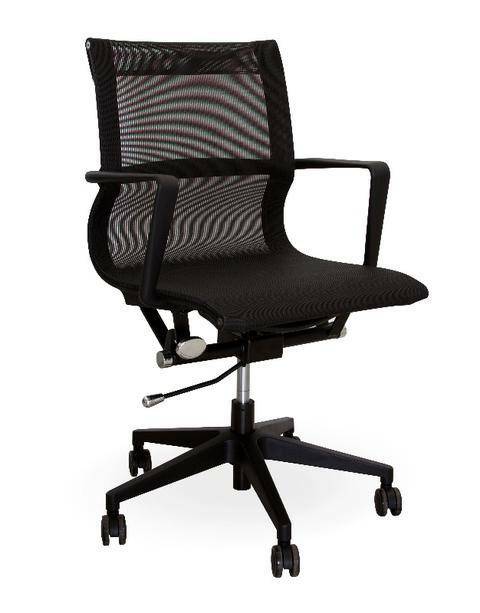 This office chair is suitable for all offices, receptions, home offices and is part of office furniture. 5* Black nylon spider base. Black nylon frame (back and arms). Elastic mesh seat and back with reinforced PVC seat lining.